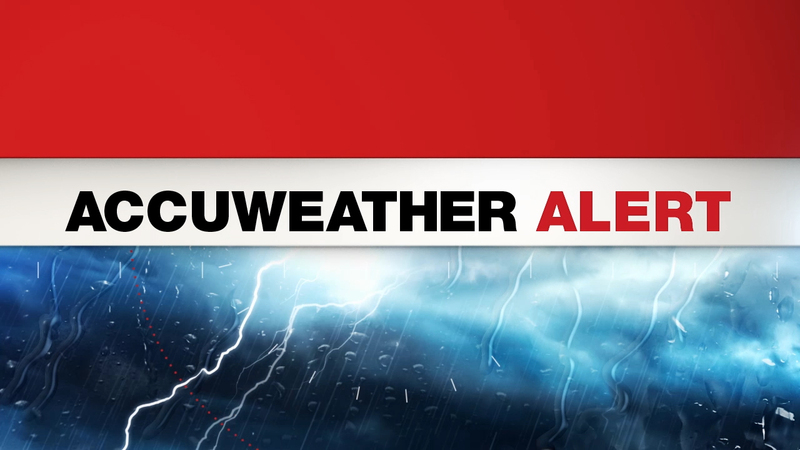 NEW YORK (WABC) -- The week is starting off with a day of wicked winds, resulting in a wind advisory for parts of the Tri-State area until 6 p.m.
Wind gusts exceeded 50 mph, leaving behind numerous downed trees and power lines. Temperatures Monday will reach the upper 30's, but the winds will make it feel much colder. A high wind warning is in effect along the Jersey Shore. There is a winter storm warning Monday for parts of Ulster and Dutchess Counties. On Sunday, a messy mix of rain, sleet and snow fell across the Tri-State Area, creating dangerous road conditions. Lucy Yang has more from Morningside Heights. Click to watch the 7-day AccuWeather forecast and get the all the weather any time at abc7NY.com/weather.